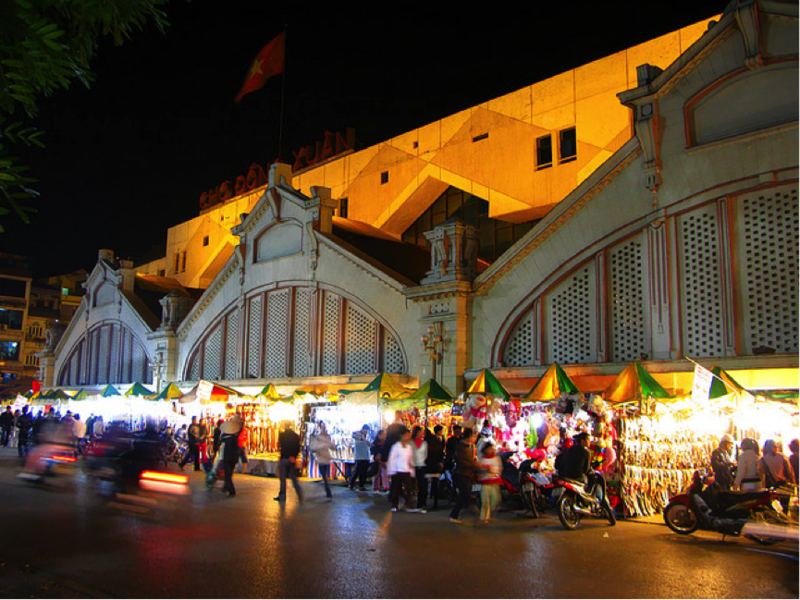 Visit charming Hanoi and bustling Saigon. 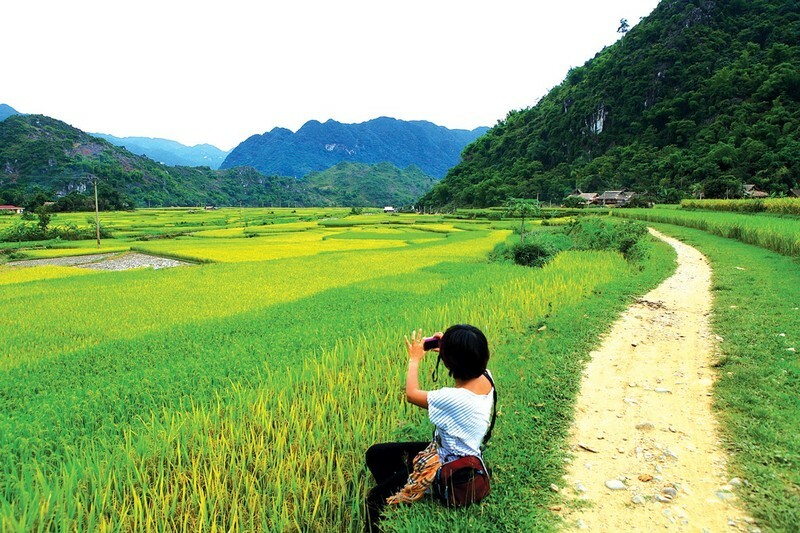 Participate in the rich and colorful cultures of Sa Pa and become a part of daily Mekong River life. 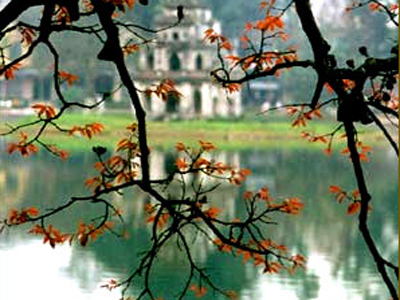 Not to be forgotten, are the ancient stories of the past told at the numerous World Heritage sites in Vietnam's Center. 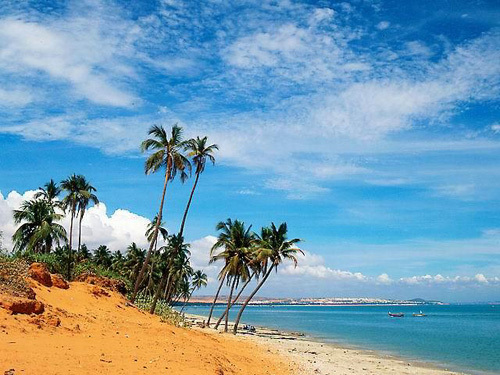 Finally, at least twice on this tour you will find time to relax and let your mind wander by the sea. 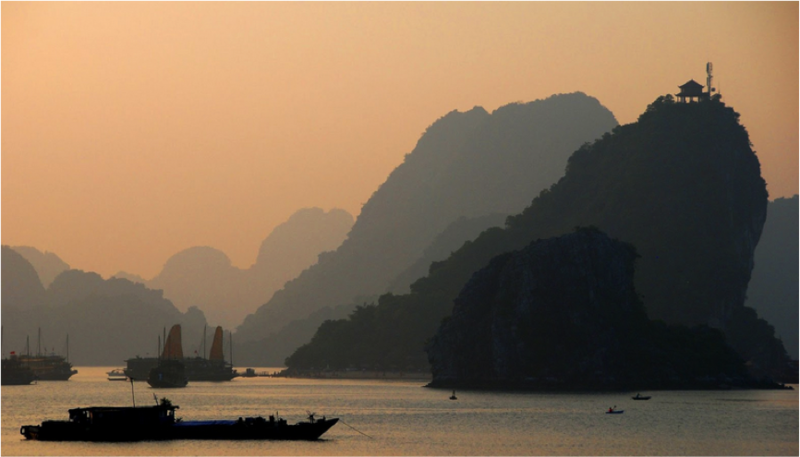 Cruise amongst the magic of Ha Long and sun bathe on the gorgeous beaches of Nha Trang. 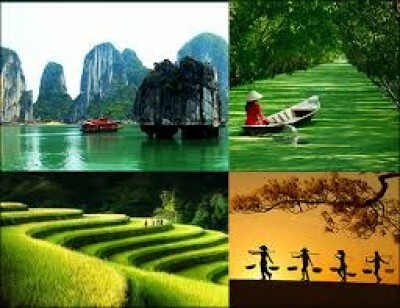 This is Vietnam travel your way, the way travel should be and true value in your travel. 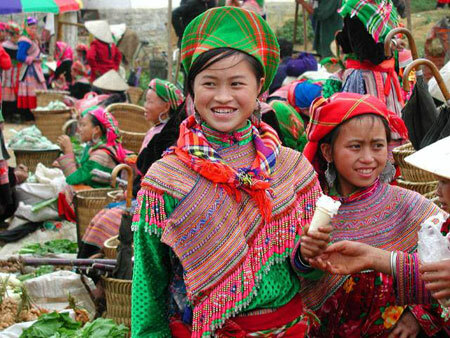 Let's explore the real Vietnam with Sa Pa Pathfinder Travel. Welcome to Hanoi, our guide will meet and take you to your hotel, check-in and today is free at your leisure to rest or explore, discovering your own first impressions of Vietnam. Depart at 8:00 am from your hotel by van. We will begin our day by visiting Uncle Ho, learning about his great life at the Ho Chi Minh Mausoleum, Presidential Palace, and his residential place. Next stop is the nearby Temple of Literature. The site of Vietnam's first University, built in twelfth century, to teach Confucius's theory to royals. Here we will also have a chance to see a traditional music performance. Lunch will be served at a local restaurant for a taste of authentic Hanoi Pho (noodle soup). In the afternoon, choose one from the numerous museums or temples around Hanoi (Museum of Ethnology, Women's Museum, History Museum or Quan Thanh Temple). In the late after walk around Hoan Kiem lake and Hanoi's fascinating Old Quarter for some great fun, shopping, and street side traditional food, maybe to try one "hanoi bia". This is your chance to be part of typical Hanoi style and its traditional Vietnamese culture. We finish our relaxing but informative day by attending a Water Puppet Show, a favorite experience for all visitors to Vietnam. 8:00 am to leave your hotel for our day trip to Ninh Binh, we arrive to the Nature Reserve of Van Long after two hours drive (110km), we board the bamboo rowboat as soon as we arrive for our 2 hours row along this beautiful nature area, enjoying spectacular scenery surrounded by rice paddies and towering limestone mountain peaks. After lunch served at a local riverside restaurant we make a short transfer (4 km) down a peaceful country road to Hoa Lu, Vietnam's ancient capital eleven centuries ago. Here, there are two temples dedicated to King Dinh and King Le, the founders of the ancient capital during the 10th century. Return to Hanoi late in the afternoon. 8:15 pm Transfer from a prearranged meeting spot to the station for your night train to Sa Pa boarding at around 9: 15 pm. You will be in shared AC soft sleeper cabins to travel North to Lao Cai town. Morning: The train arrives at about 6:00 am; look for the "Sa Pa Pathfinder Travel" sign when you exit the train station, as our guide will pick you up. Then take a morning drive through the clouds by car / van to Sa Pa (~ 1.5 hours). When you arrive in Sa Pa our guide will transfer you to a local restaurant for a morning breakfast. We will then take short ride from Sa Pa to our trekking base where we start our trek up and down hills (~ 5- 6 hrs) through terraced rice fields, bamboo ranges and many minority villages. Lunch break before we keep hitting the road to Ta Phin village. Our Dao host family will welcome you to their traditional home where we will share in an ethnic style dinner and stay the night. At the first gleam of daylight, you will see and hear the sounds of morning village life. You can join your host family in some of their activities like feeding the animals, cleaning the houses, gardening or preparing breakfast. After breakfast, we could take a short morning wander around the village or resulting in more time spent with the host family. You will be then supported by our car / van back to Sa Pa (30 minutes). When we arrive back in Sa Pa, check in to the hotel, shower, and pause for lunch on your own. At 2:30 pm we will take an easy walk (~ 5km) to Cat Cat village, homeland of Black H'mong hill tribe and to take part in a traditional ethnic music performance put on by the ethnic minority people. Your own dinner and evening sleep in the hotel in Sa Pa.
Wake up in Sa Pa town, breakfast at the hotel then enjoy the morning with some of your new friends that you may have met the afternoon before. 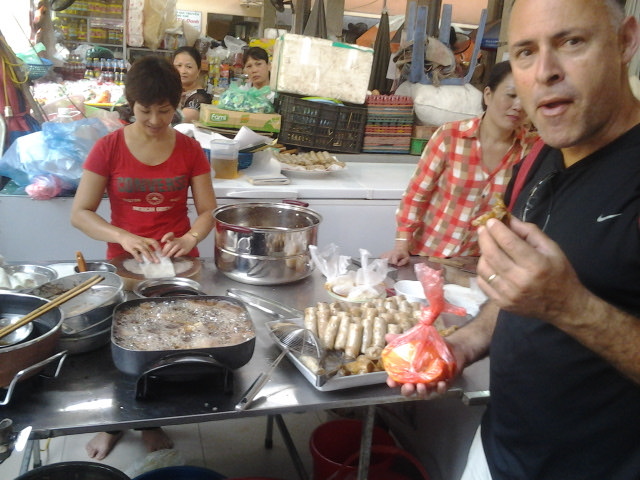 You have the entire morning and lunch for free time and visiting the lively markets. 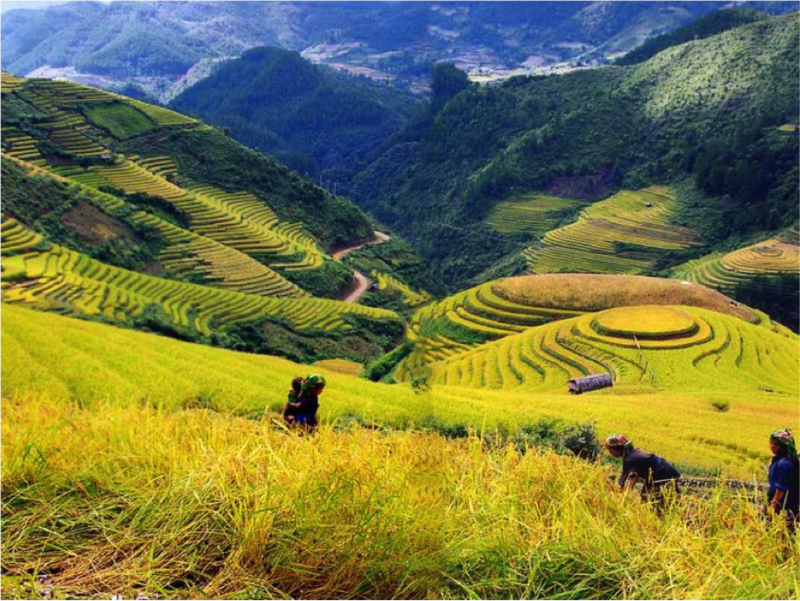 At around 2:00 pm, travel by car/van down to the south of Sa Pa town then we will do a mix of wonderful trek & hike along the terraced paddy fields, streams and villages (2- 3 hrs) to visit the peaceful Hmong village of Y Linh Ho to learn more about the Black Hmong. You will return to Sa Pa by van. 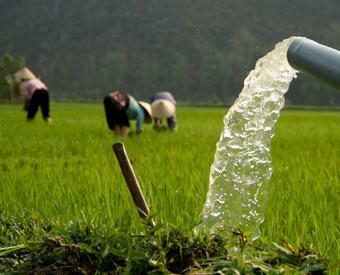 A refreshing shower will be arranged before your train in Sa Pa or Lao Cai. Arrival in Hanoi in the early morning at round 5:00 am. Please find your way by foot back to a mini hotel near the Tran Quy Cap station gate to have shower and basic set menu breakfast. 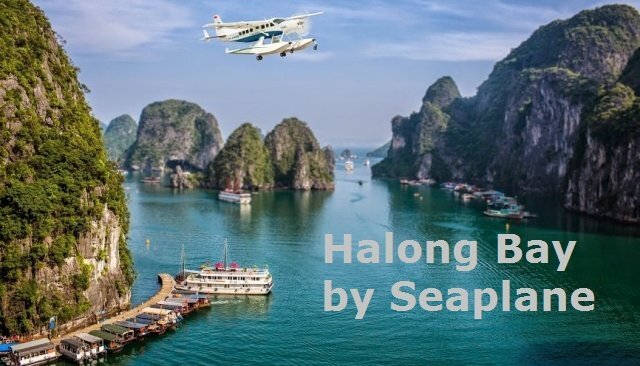 Depart, 8: 00 - 8:30 am on a shared van from your hotel to Ha Long city. After 3.5 hours driving and viewing simple, country side, rice paddy life, we arrive at the at port. At 12.00 pm the junk crews welcome guests on board at Hon Gai Wharf. Check- in, enjoy welcome drink & cruise briefing. Lunch with fresh local seafood while cruising to Bai Tu Long bay via Indochina film studio, Teapot islet, Blockhouse islet, Goat Head islet. 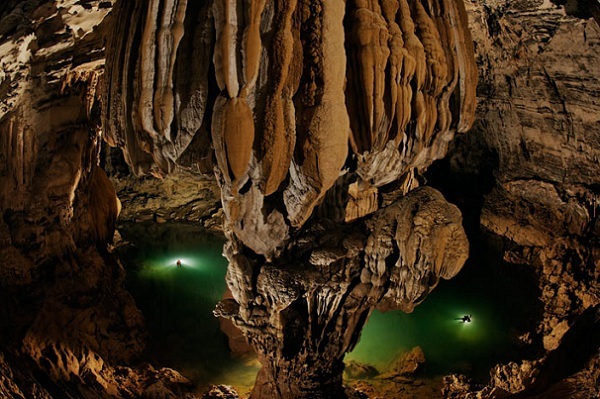 Stop for swimming, visit mysterious Thien Canh cave. Relax at a wild beach, swim & kayak to explore the bay. Back to junk to enjoy relaxing or the sunset. 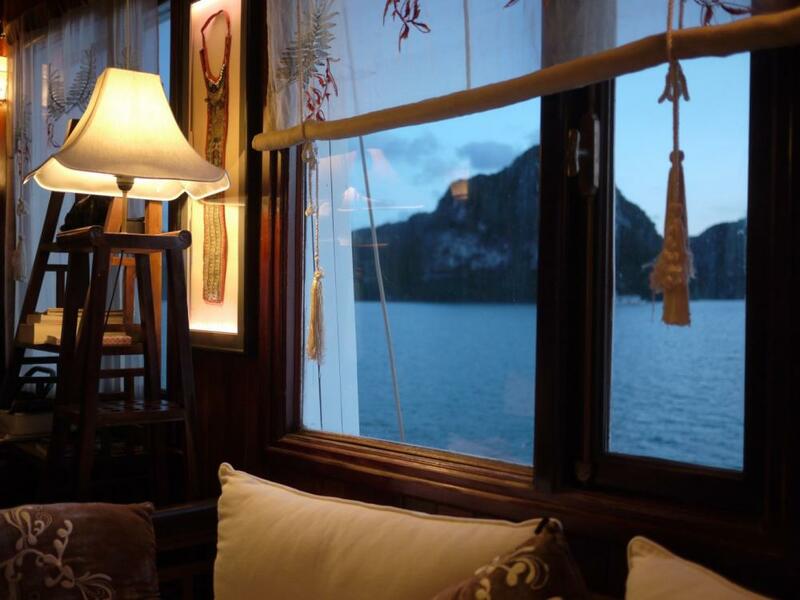 Dinner and overnight on board nearby Vung Vieng village or Trinh Nu cave. 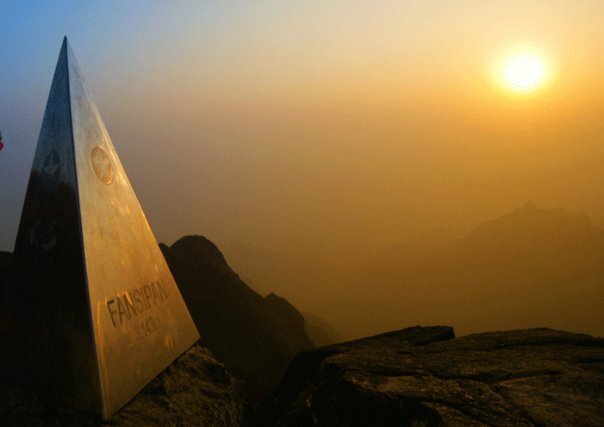 Early risers can enjoy the sunrise and the quiet breath-taking beauty of Bay's landscape. From 7.30 to 8:00 am have breakfast in the fresh air then visit Vung Vieng fishing village by a rustic row-boat. Meet the locals, visit floating school & fish farms. More time to swim in the middle of the bay. From 10: 15 am we serve on a La-Carte-Menu, you can order any dishes in the menu whenever you want for breakfast and lunch. Continue cruising through the bay, along the way seeing more of the fascinating formations. 11: 45 am check out cabin while cruising back. By noon at 12:00 pm we will be ashore then hit the road back to Hanoi at around 4:00 pm. Check in hotel in Hanoi and free time to relax and stay overnight at your hotel. 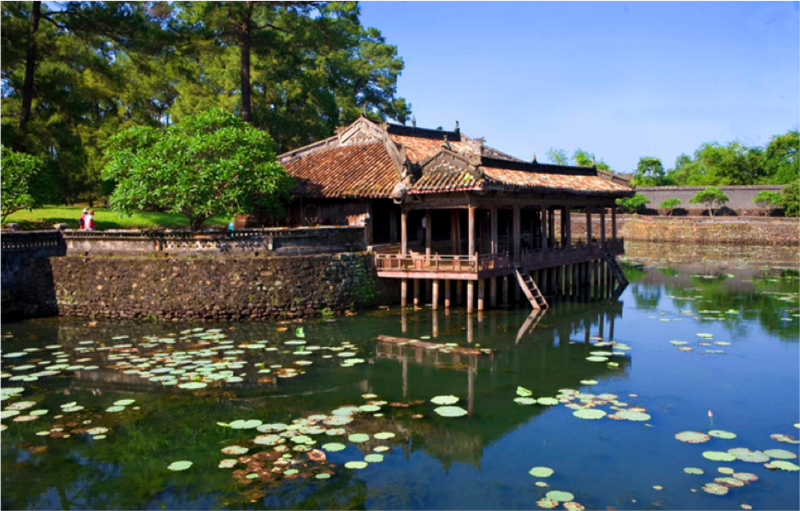 Today is your free day in the Hanoi capital and all of its fascinating historical charm. Spend your day relaxing or shopping. Some suggestions include waking up early (about 6:00 am) and joining in the some exercise around Hoan Kiem Lake; or taking a Vietnamese cyclo tour around the Old Quarter for a different point of view; or visiting the numerous markets, shopping, and trying all of the street side traditional foods. 6:00 pm we pick up from our office or your hotel for night train to Hue. Boarding at 7: 00 pm. You will be in shared AC soft sleeper cabin (s). Station picks up then transfer to hotel to take a short rest, have late breakfast before visiting the former Imperial Citadel. Lunch is next at a local restaurant. Then in the afternoon is our visit to the splendid royal tombs, there are actually more than 6 tombs but we will choose to visit two of three tombs as below: Minh Mang, Tu Duc and Khai Dinh. 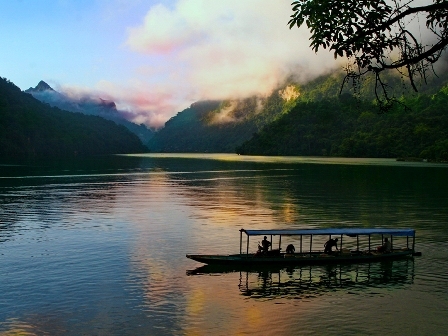 After that our guide will transfer you to the boat dock for our cruising on the Perfume River, viewing the city and the tranquil villages on the riverbank. We will walk up to visit the Thien Mu pagoda, a nicely located pagoda, overlooks the Perfume River and the beautiful scenery beyond, where you get to learn more about the Buddhism in Vietnam. Transfer back to your hotel. 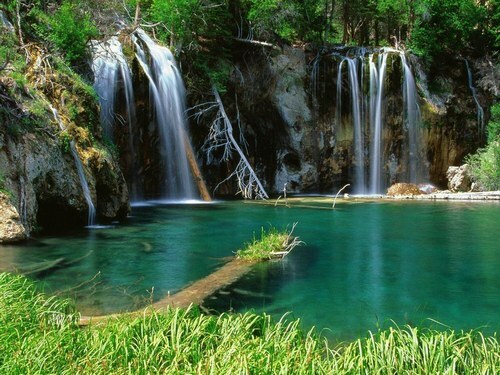 Free time to relax, shower and stay overnight at your hotel. After breakfast at your hotel at 9:00 am we will go on a relaxing Vietnam cyclo to visit Dong Ba market around 1 hour then transfer to Hoi An. From here it will take us about 4 hours to get to Hoi An. There is fabulous sightseeing en route and we may make stops at Lang Co beach, Hai Van pass, Cham Museum, and the Marble Mountains. Then onto Hoi An, overnight in here. This is also a very good chance for you to get nice tailor - made clothes at a reasonable price. 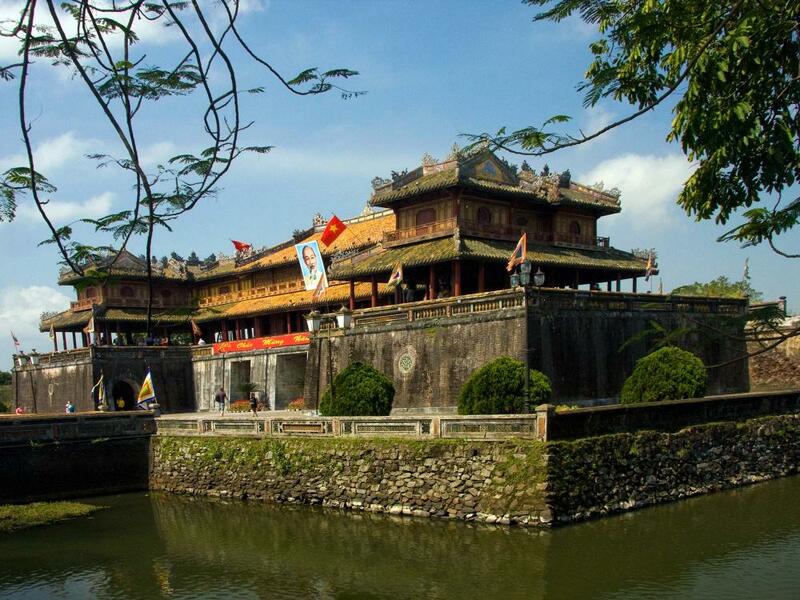 The center of Vietnam has many World Heritage Sites and Hoi An is one of them. 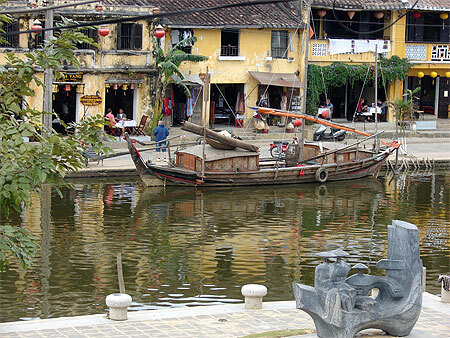 This ancient town of Hoi An, 30 km south of Da Nang, lies on the banks of the Thu Bon River. 9:00 am Hotel pick up then we walk around the town with our tour guide to visit the old charming city. We will visit the old Tan Ky House, the famous Japanese Covered Bridge, the stylish Phuc Kien Assembly Hall. After that you will make a bicycle trip to countryside of Hoi An for more enjoyment at Tra que vegetable village - a famous one in Hoi An. Walk around for visiting and knowing more of the way local people plant variety of vegetables. Free time to relax, discover other corners of Hoi An town. Breakfast at the hotel then transfer to the airport in Da Nang for noon-flight to Nha Trang. Airport pick up then transfer to your hotel, it is free to chill out on the beautiful white sand beach. Morning pick up from hotel and transfer to the boat station (45 minutes). Hop on the shared boat and begin a day on the water. The first stop will be Tri Nguyen Aquarium with a collection of sea fish then we will cruise to Mot Island. 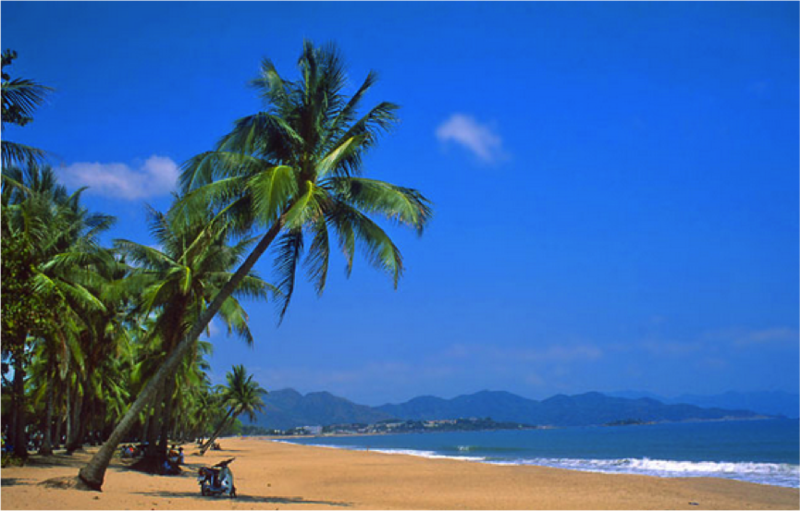 This is one of the best places for snorkeling in Nha Trang. Hold your breath for as long as you can and dive deep into this colorful world of fish and coral. Next stop, Coral Island, for sun bathing and relaxing on the off shore beach and lunch will be served with a selection of fresh seafood. After lunch, cruise to Tranh Island for more swimming and relaxing then take the boat back to Nha Trang city at around 5: 00 pm. 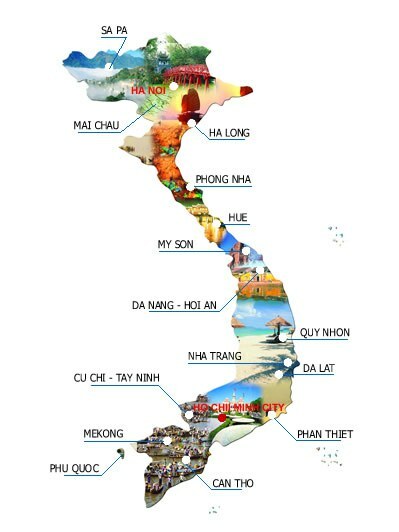 We take an early flight this morning at 7:45 am arriving to Saigon at 8:40 am, transfer down town and check-in at our hotel before our city tour of this bustling Saigon started. Visit the Binh Tay Market in Cho Lon; stopover at Thien Hau, a 150 year old Chinese Temple; then to a Lacquer wares workshop and the Jade Emperor pagoda. In the afternoon visit the War Remnants Museum, the Notre Dame Cathedral and the historic Central Post Office, we'll drop you off at your hotel around 5:30 pm. Departing Saigon at 8:00 am from your hotel for a morning excursion to Tay Ninh to the Great Cao Dai Temple (a place to worship a mixture of Buddhism, Confucius, Taoism, Hinduism and Christianity). We see the noon mass at the temple (1 hour). 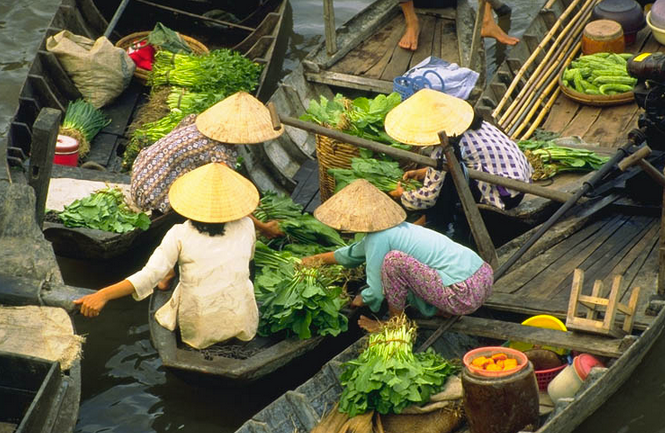 Alive and exciting cruise through the secluded canals and cross the Mighty Mekong to an island where we will stop to enjoy fresh seasonal fruit before boating to Vinh Long. Back on the bus for our trip to Can Tho. An early start for a boat trip to Cai Rang floating market, then we have some distance to cover. First a cruise, then a walk on a quiet country road taking in the magnificent scenery and getting a little bit closer to the locals as they go about their daily routine. In the afternoon, we head back to Saigon.